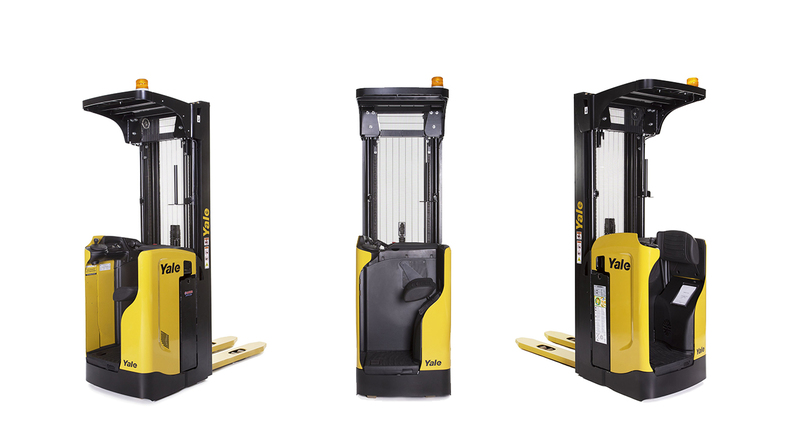 Productivity and operator ergonomics continue to remain at the heart of the Yale® design process and both these elements are clear to see in the new Rider Stacker. Retaining the industry-recognised adaptive seat of the MPT truck, the new MS16S offers sit, lean and stand functionality at the touch of a button, giving operators full freedom of movement for medium or long transfers. With a load carrying capacity of 1.6 tonnes and a tight turning circle combined with the option for the operator to stand while loading and unloading, the new MS16S aids productivity through easy positioning and manoeuvrability, even in narrow aisles. This entry was posted in Design Process, Electric, Ergonomics, Innovation, Pallet Stackers, Rider Pallet, Rider Stacker, Warehousing and Distribution and tagged comfort, design philosophy, Electric, Ergonomics, Innovation, Manoeuvrability, Materials Handling, MPT truck, MS16S, narrow aisles, Productivity, Rider Stacker, Storage Rooms, warehouse racking systems, Yale, Yale Europe Materials Handling. Bookmark the permalink.